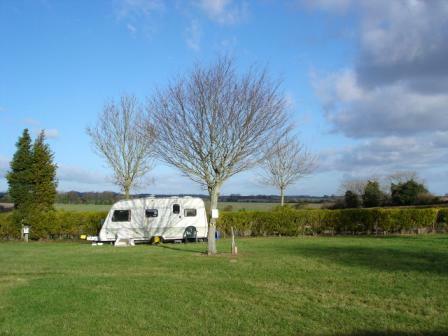 Here at Cherwell Leys we have a site for caravan club members, up to 5 caravans can be accommodated at any one time, all with electric hook-up points. We are open all year, so you can come and enjoy the changing seasons with us and our alpacas. We are situated off the main Salisbury to Blandford Forum road, the A354. We overlook Martin Down, famed for rolling chalk grassland with the opportunity to see sky larks. Toyd Down and Cranborne Chase are nearby, plenty of good walking. We are situated close to small villages that have places to eat, Cranborne, Damerham, Whitsbury and Rockbourne. We have added some links to websites that may be of interest, where there are underlines these will link you to more information on the subject. A short circular walk to visit Martin & All Saint's Church, Martin, through fields, where you can pass by Highland cattle in the fields. 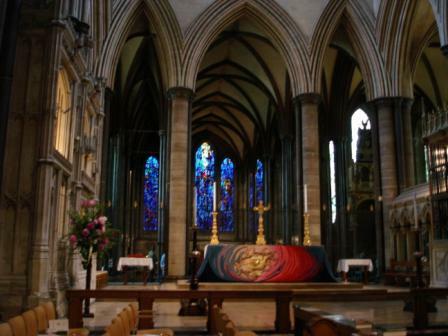 Salisbury is approx 10 miles, with the medieval city and cathedral a very beautiful place to visit. Should you wish to visit Stonehenge, World Heritage Site, it is approx 20 miles away. Wilton, originally famous for carpets, is to the north. There is Wilton House open from Easter to the end of September and The Italianate Church to visit. Beyond Wilton is the Wylye Valley, a beautiful chalk river with small villages and public houses along the way. Fordingbridge (7 miles) is a very compact town. There are local food shops, a Tesco Express and Co-op store, and butchers and bakers. Fordingbridge gives you access to The New Forest, with the wide open spaces and the New Forest Ponies. You can travel down through the New Forest to the South Hampshire Coast, or Poole and Bournemouth are both within a short drive on the main route A338. Please telephone to check on availability and arrange a booking.